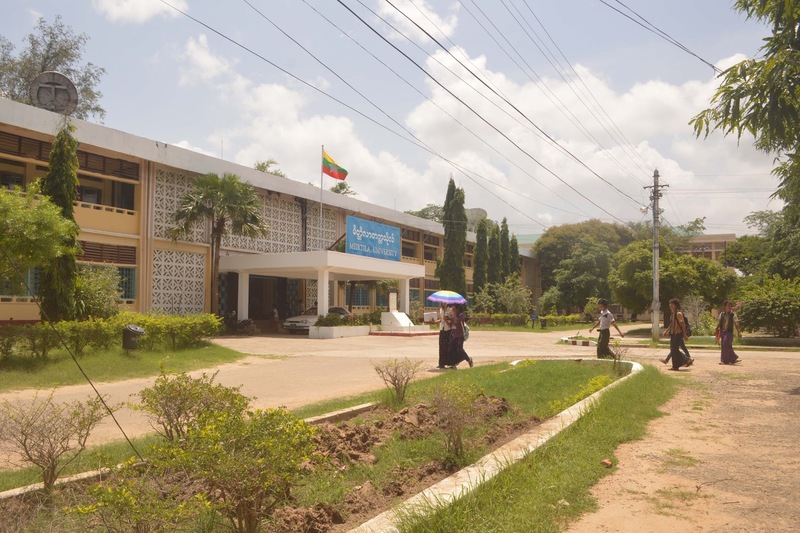 Now that Myanmar has opened itself to the world, we hope that Meiktila University will have the opportunity to enjoy the fruit of academic freedom and autonomy. It is important to engage with foreign universities to exchange faculty and students and bring new academic ideas into the existing university environment. 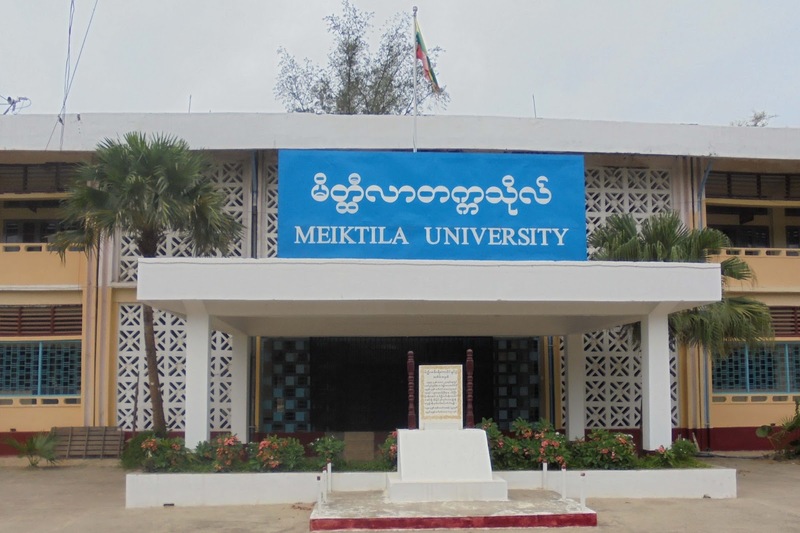 Our goal is to transform Meiktila University into an excellent academic institution which is free from racial discrimination and academically strong. 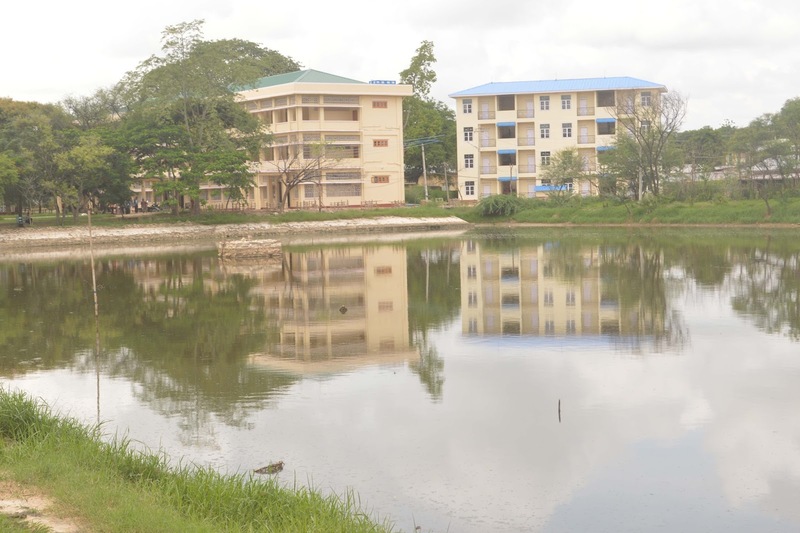 Meiktila University has firmly decided to make itself mature and experienced in order to face the challenges of the new knowledge-based age. 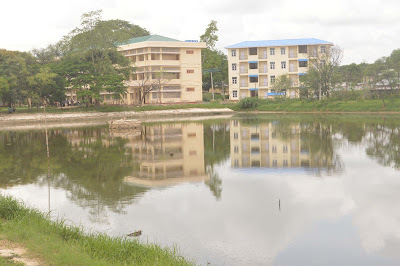 This is the mission of Meiktila University. 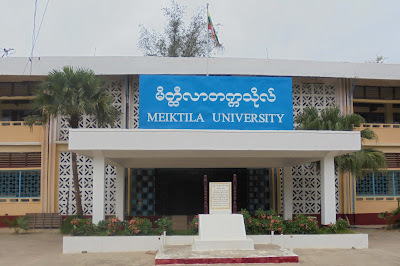 Meiktila University is located in Meiktila. 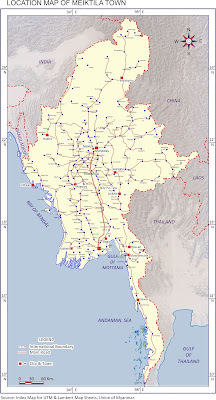 It is a city which is situated in Mandalay Region on the Yangon-Mandalay road. It is well-known for its great Meiktila Lake and nine Buddhist Ordination Halls. 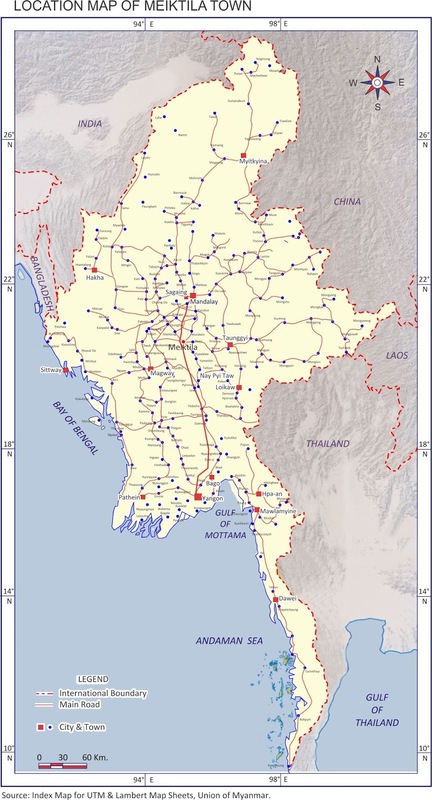 Being the intersection of five motorways, Meiktila is blessed with good transportation: It is 543.9434 kilometres from Yangon and 148.0556 kilometres or a two-hour drive from Mandalay, the last royal capital of the last independent Myanmar kingdom. The surrounding area of Meiktila is green with grapevines and paddy fields. Enriched with pagodas, Meiktila is also home to other universities such as Myanmar Aerospace Engineering University, Meiktila Institute of Economics, Computer University, Technological University and Meiktila Education College. Meiktila University occupies a total area of 18.5424376 hectares. 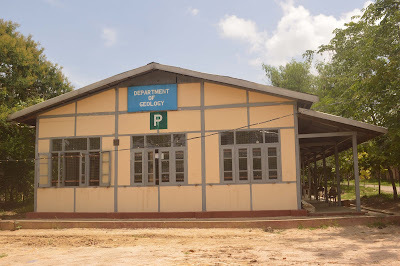 Meiktila University began as Mandalay Division Regional College(Meiktila) in 1977. 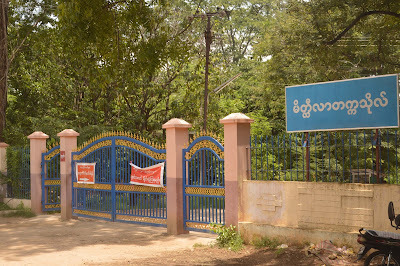 The college was renamed Meiktila Regional College in 1980. 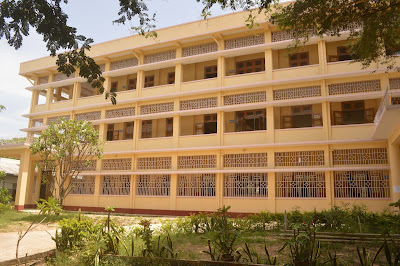 It was designated as Meiktila College in 1981. 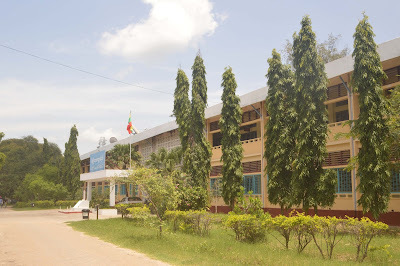 The college was raised to the status of Meiktila Degree College in 1996. 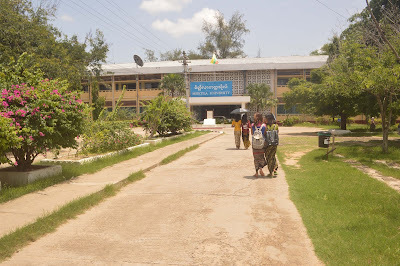 Meiktila Degree College was promoted to university level in 2001. 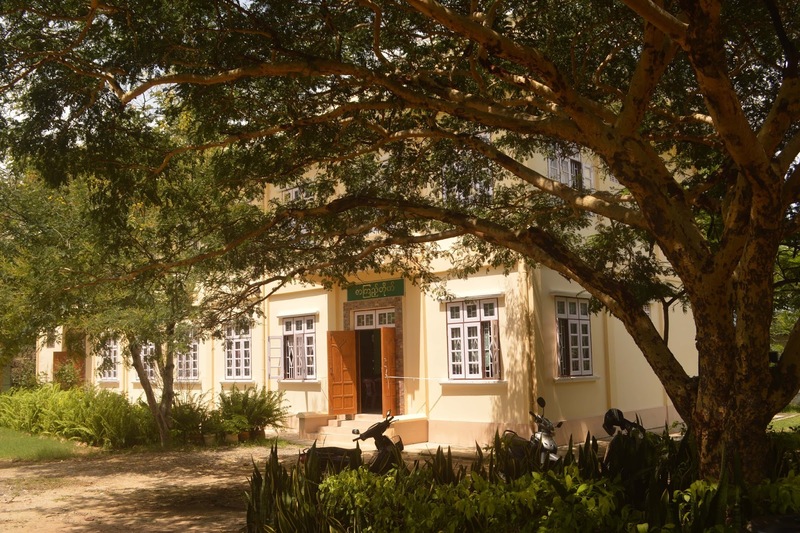 Meiktila University is governed by the Administrative Board consisting of Rector, Pro-rectors, Senior Professors and Administrative Officers. 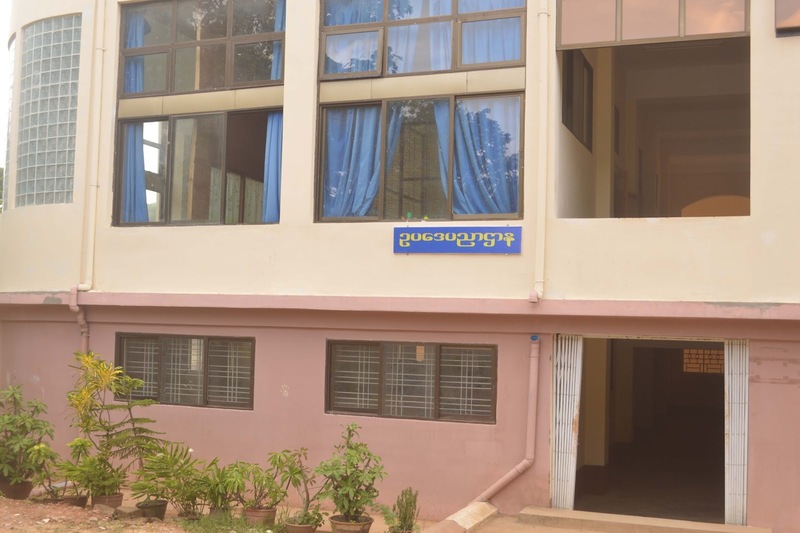 The Administrative Board is responsible for ensuring that lectures are given and performing research.The Administrative Board is under the Department of Higher Education(Upper Myanmar). 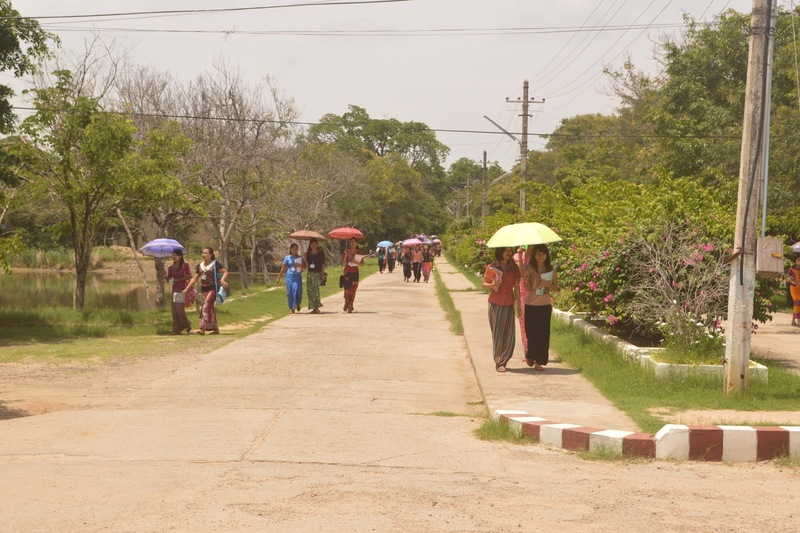 Meiktila University has undergone changes since it was upgraded to the university level. 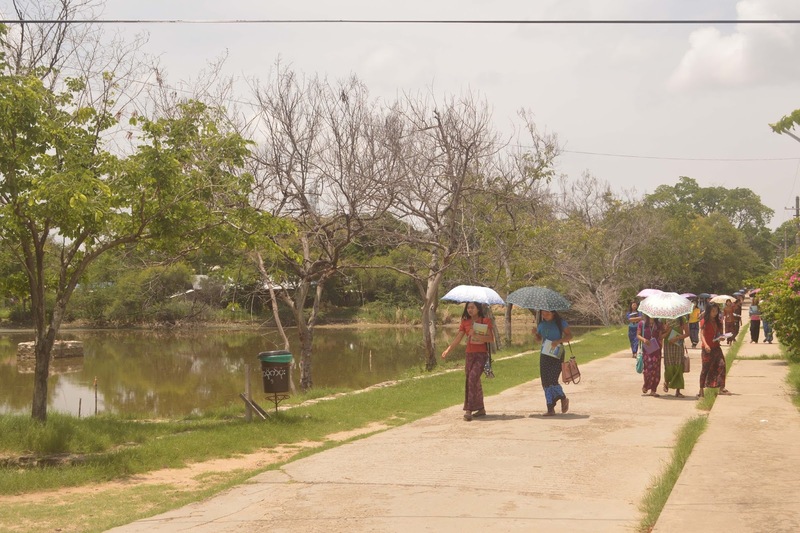 That is to say Meiktila University has seen more students, more buildings, more books, more research activities and more programs. The striking change is that Meiktila University has signed a MOU with Gifu University of Japan to work in close partnership with Gifu University of Japan and its affiliated universities.The university is now working in close partnership with Gifu University of Japan. 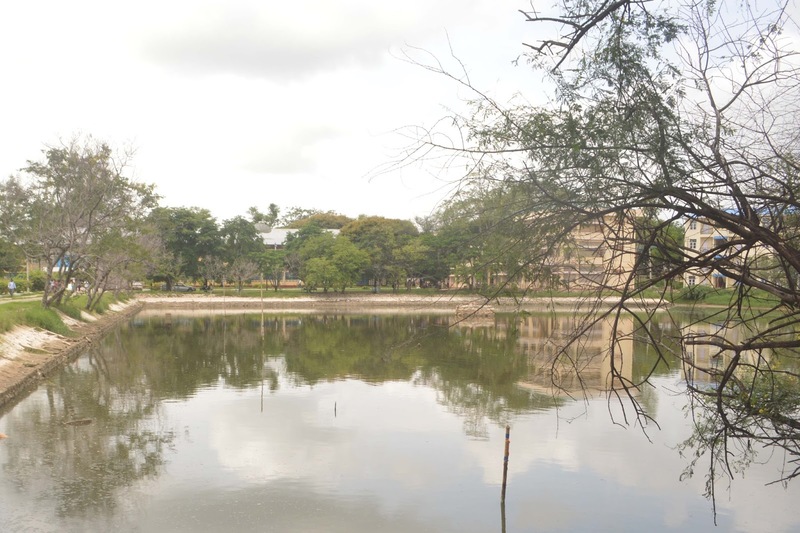 This will further strengthen the university in the academic field. 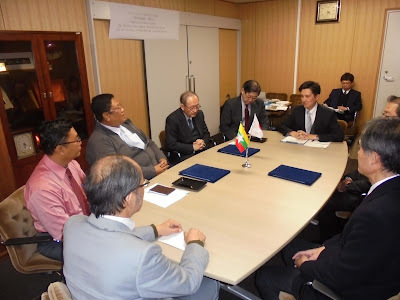 In accordance with the agreement on Academic Exchange and Cooperation between Meiktila Univereity and Gifu University, Professor Mutsuhiro SHIMA from Department of Chemistry and Bio-molecular Science, Gifu Universtiy visited Meiktila University in July, 2015 and meet with Rector, Pro-Rectors and Professors from Science Departments of Meiktila University to discuss matters related to students exchange programme. 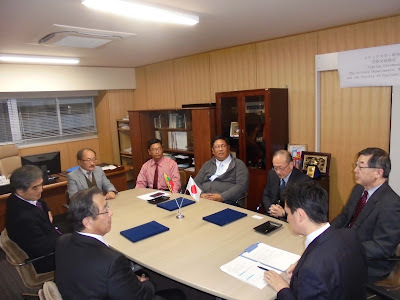 Moreover, he also met with science students of Meiktila University and explained about Gifu University and matters related to scholarship awards offered by the University. 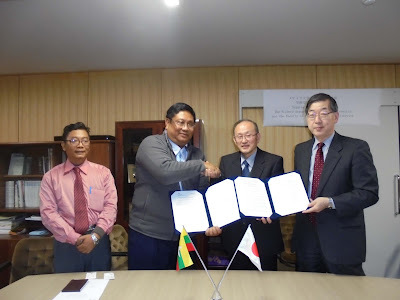 Following the agreement on Academic Exchange Programme, one MSc first year student from Gifu University who specializes an electrical engineering is planned to come and study at Meiktila University in September 2015. In return, two MSc students, Ma Phyu Hnin and Ma Khin Moe Win from Meiktila University who specialize in Physics are planned to visit and study at Gifu University for two weeks and November 2015. (4) To hold research networking events with participating universities and related industries. Andalas University (Indonesia), Bogor Agricultural University (Indonesia), Brawijaya University (Indonesia), Bung Hatta University (Indonesia), Chonnam National University (Korea), Gadjah Mada University (Indonesia), Griffith University (Australia), Meiktila University (Myanmar), National University of Malaysia (Malaysia), National University of Timor Lorosa'e (East Timor), Shikshan Prasarak Mandali's Sir Parashurambhau College (India), The State University of Campinas (Brazil), University of Bengkula (Indonesia), University of Brunei Darussalam (Brunei), University of Malaya ((Malaysia), University of New South Wales (Australia), University of Pannonia (Hungary), University of Tunku Abdul Rahman (Malaysia), University of Utah (USA), Yadanabon University (Myanmar), Zhejiang University (China), and Gifu University (Japan). Meiktila University currently comprises of the Faculties of Arts and Sciences. MeiktilaUniversity offers undergraduate and postgraduate degree programs: Arts(B.A. 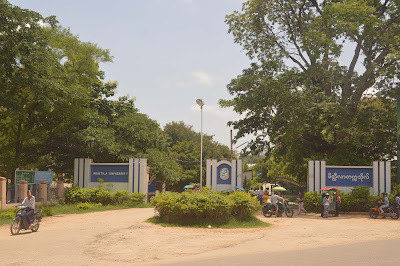 ), Sciences(B.Sc. 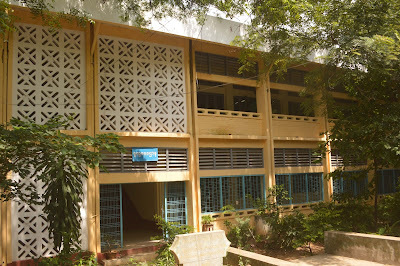 ), B.A. (Hons), B.Sc. (Hons), M.A. , M.Sc. and M.Res. Meiktila University's academic programs operate on a semester calendar beginning in December and ending in March for the first semester and beginning in May and ending in September for the second semester. 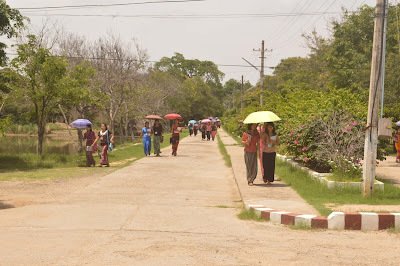 The strength of academic and administrative staff of Meiktila University has grown since its birth as a university. Meiktila University is now strengthened with 288 academic staff including 92 PhDs and 190 administrative and office staff. Academic departments provide facilities and guidelines for the teaching of the students, perform researches and conduct seminars. They also arrange tutorials for both undergraduates and postgraduates. Meiktila University's academic staff instruct 6365 students. In the past students were not allowed to live in residential halls. 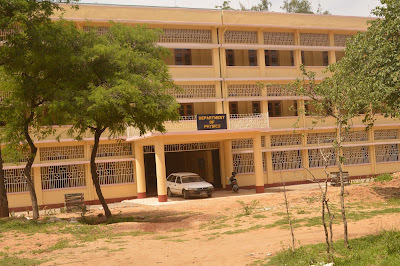 Now students have been provided with accommodation in the university although many students live off campus. 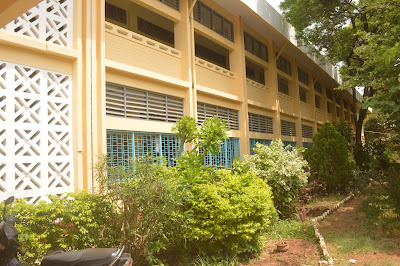 Both postgraduates and undergraduates live in residential halls on campus. 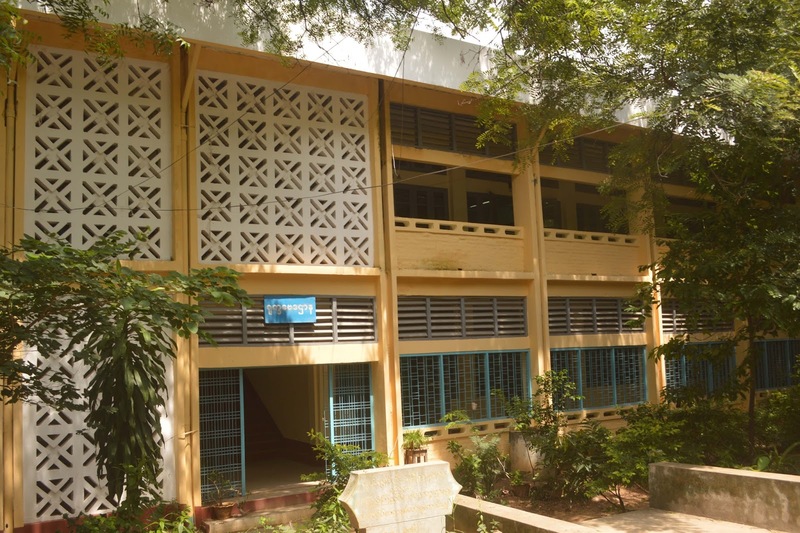 Besides academic studies, students’ life is centered on extra-curricular activities and sports. Sport is played between Department teams and outstanding players from each department are selected to participate in themulti-university tournaments, representing Meiktila University Sport Team. 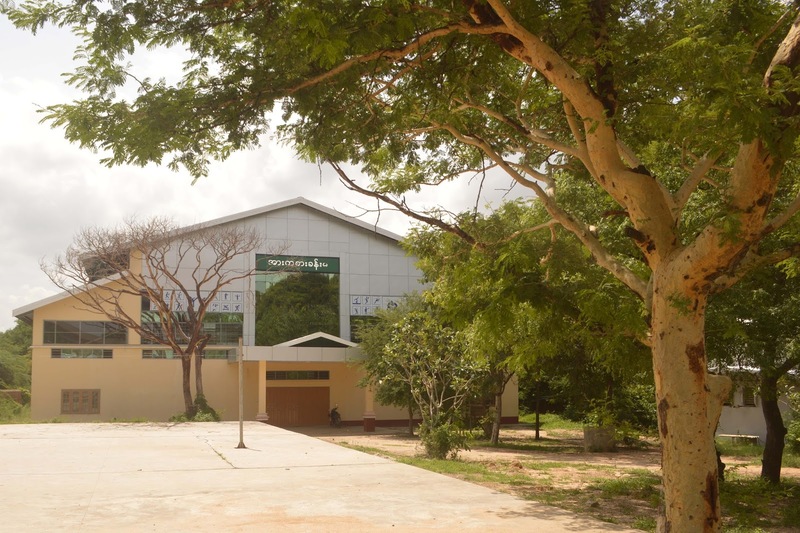 Meiktila University values professional expertise and always seeks opportunities to enrich the students’ skills and widen their knowledge.The university, therefore, tries to discover what relevant expertise is available to it. 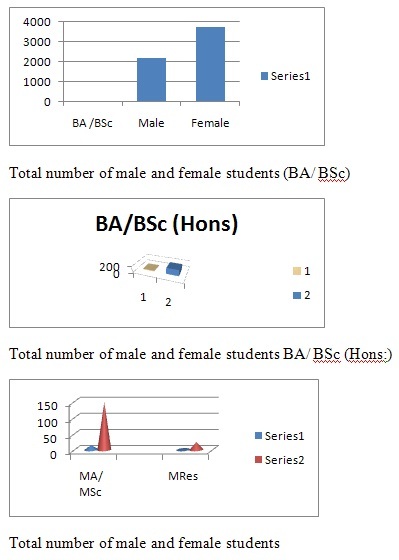 So, guest speakers’ lecturers are undoubtedly frequent throughout the academic year. A Talk on ‘Drug abuse prevention, anti-narcotics smuggling, anti-human trafficking and traffic rules’to mark World’s No Smoking Day. 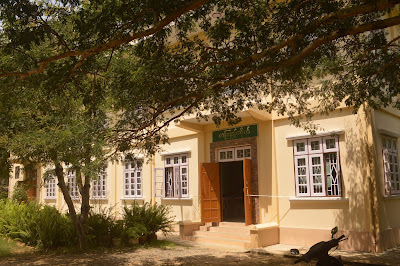 Meiktila University is proud to have a library which conserves rare books and ancient manuscripts with the flavor of Myanmar culture. The library is furnished with 17363 books in Myanmar, 20155 books in English, 14255 Myanmar magazines 3509 English books, and 500 types of e-book although it is deprived of the newest books andjournals. 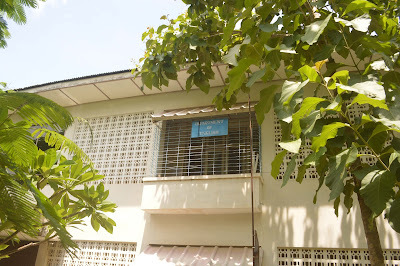 The library has access to the internet and the learning corner in the library is a good place for accessing information. Moreover, there is an ongoing programme of works to improve access to a wide range of teaching and learning opportunities and information through online databases. 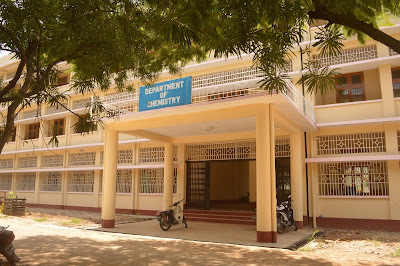 The Faculty of Sciences was established in January, 2001. Currently the Faculty employs ( ) academic staff and ( ) administrative staff. 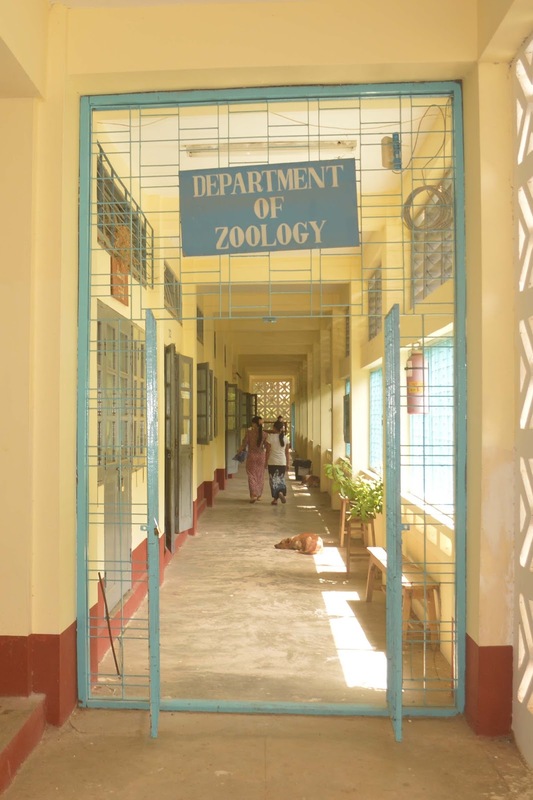 The Faculty of Sciences offers higher education in Physics, Chemistry, Zoology, Botany, Mathematics, and Geology. 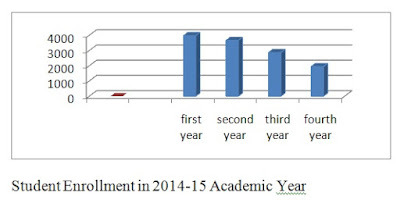 There are 4603 undergraduate students and 302 post-graduate students. Dr Khin Ma Ma Lay is a professor of MyanmarsarDepartment with over 15 years of research experience in Burmese poetry. Her research focuses can be summarized under the banner of “Poetry in Innwa Period”. Her current projects focus on Magga So KhanPyo, a type of poetry in Innwa Period”. Her research focuses can be summarized under the banner of “Linguistics” and its focus is looking at grammatical items. Her current project focuses on aninvestigation into prepositions used in Mon stone inscriptions. His research focuses can be summarized under the banner of “Prose Analysis and Literary Theories”. 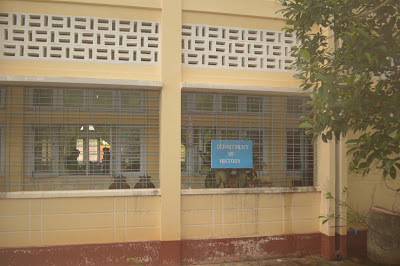 Currently, he is teaching English literature to undergraduate and postgraduate English specialization students in Meiktila University. 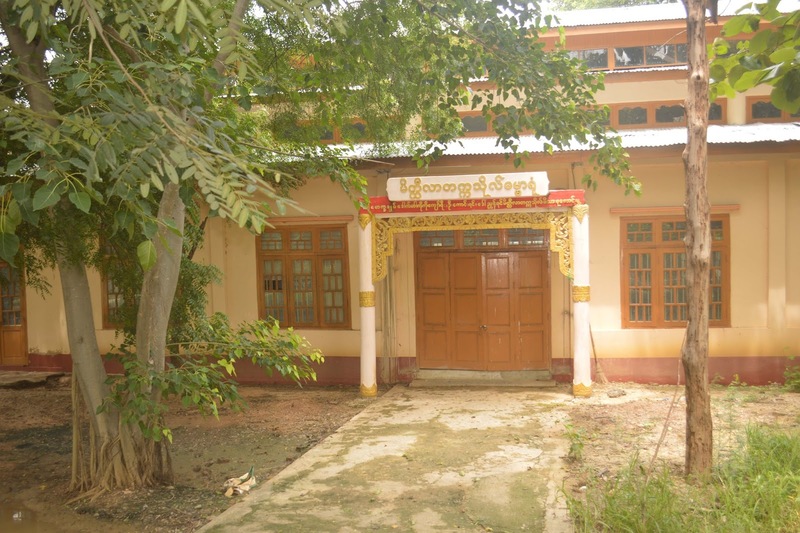 He also contributes to Meiktila University Magazine and Meiktila University Research Journal. 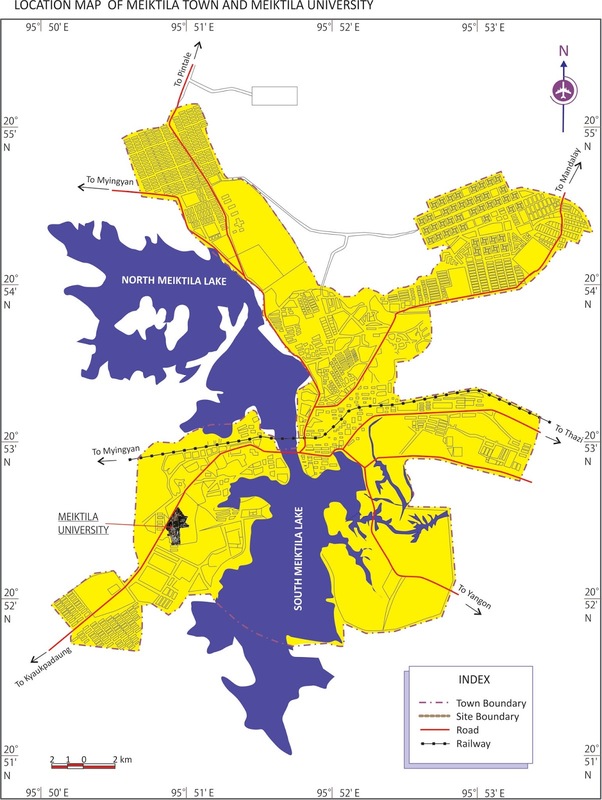 Her research focuses can be summarized under the banner of “ Urbanization, Natural Disaster Studies and Environmental Conservation Activities”. Her research focuses can be summarized under the banner of “ Agriculture and Environmental Studies”. Her research focuses can be summarized under the banner of “ Struggle for Independence in Colonial Period”. Her research interest is “ The Role of Women Activities in Oil Field Strike”. Her research focuses can be summarized under the banner of “ History of Konbaung Period”. Her research interest is“ Administration of Myanmar Kings during Early Konbaung Period”. Her research focuses can be summarized under the banner of “ Linguistics”. 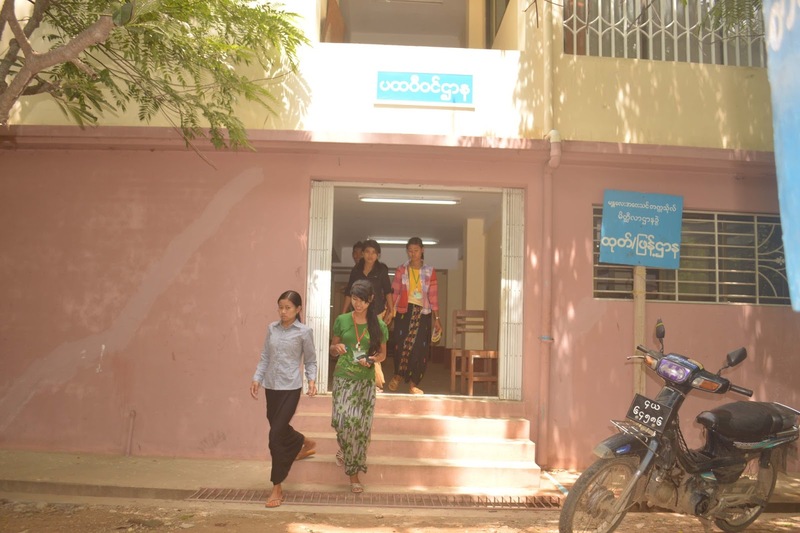 Her research interest is “Old Myanmar Inscriptions”. 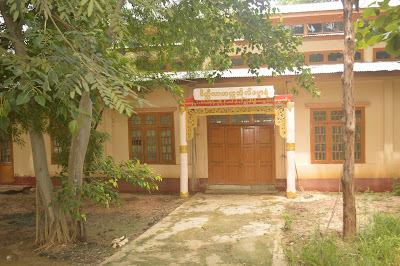 Her research focuses can be summarized under the banner of “ Pali Literature in Dhammapada”. Her research focuses can be summarized under the banner of “ Applied Ethics”. Her current projects focus on “ Social Ethics, The Ethics of Information and Communication Technology, Medical Ethics, Bioethics and The Ethics of Environmental Conservation”. Her research focuses can be summarized under the banner of “ International Law”. Her research focuses can be summarized under the banner of “ Material Chemistry, Environmental Analytical Chemistry and Geopolymer Chemistry”. Her research focuses can be summarized under the banner of “ Natural Product Chemistry, Food Analysis and physical Chemistry and Clinical Chemistry”. Her research focuses can be summarized under the banner of “Nuclear Physics”. Her current research focuses on “Experimental Nuclear Pyhsics and Material Science”. His research focuses can be summarized under the banner of “Electronics”. 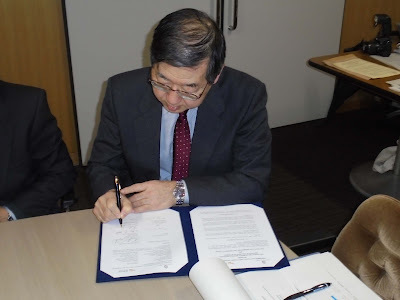 His field of interest is “Electronics and Material Science”. Her research focuses can be summarized under the banner of “Analysis”. Her fields of interest are Algebra and Linear Programming. Her research focuses can be summarized under the banner of “Differential Equations” and her fields of interest are “Algebra and Probabilit’’. 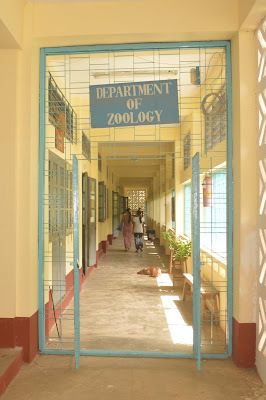 Her research focuses can be summarized under the banner of “Ornithology (A Study of Aves)” and her fieldof interestis “Conservation management”. Her research focuses can be summarized under the banner of “Ecology, Hoticulture and Agriculture; and Environmental Science”. Her research focuses can be summarized under the banner of “Biotechnology, Economic Botany and Pharmacognosy”. Her research focuses can be summarized under the banner of “Sedimentology” and her field of interests are: 1. 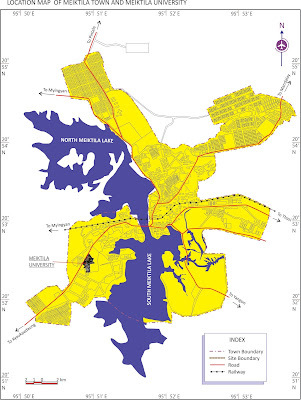 Hazardous wastes disposal 2. Stratigraphy 3. Carbonate hurled mineralization 4. Disaster impact on environmental hazards. 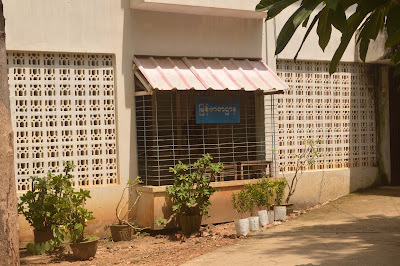 Distance Education involves studying coursr materials from home and completing assignments. 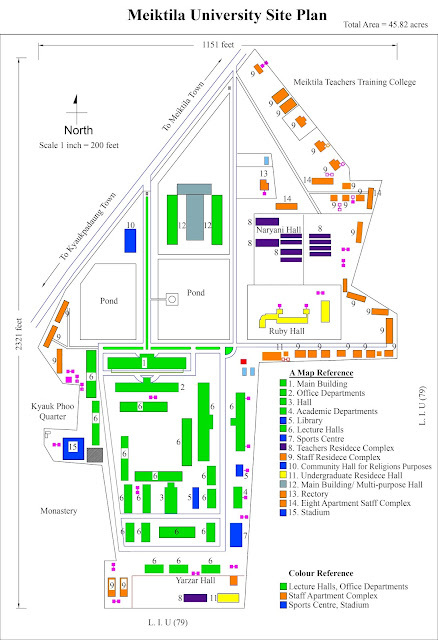 It also involves coming to on-campus courses for science students on weekends. A limited number of courses are offered for students who choose to study from distance. 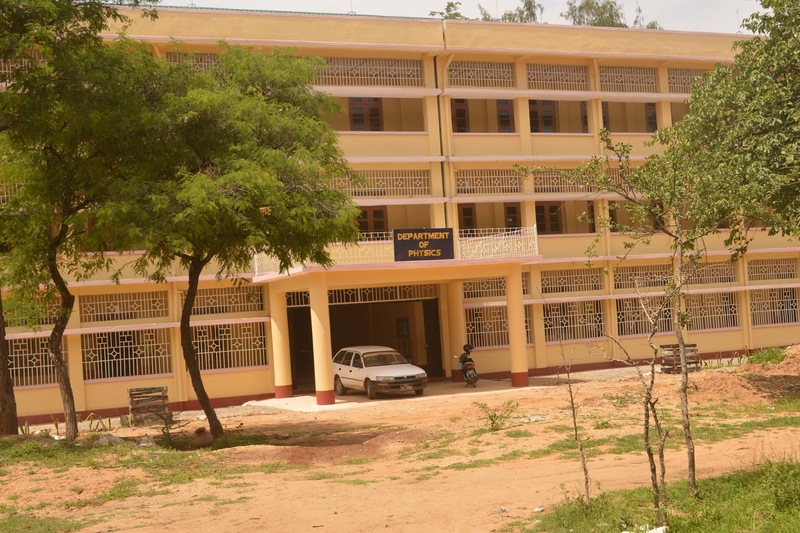 Once students have enrolled, they will be supplied with course books and CDs. Students will also be supplied with study guides which usually combine a set of lessons with useful guidelines and answer keys. Assessment may take a number of different forms including assignments, laboratories and on-campus intensive courses.